Bedford planning committee councillors this week approved an application from owners Hanson to demolish all four towering structures. They agreed the chimneys were “structurally vulnerable” in high winds and representative an immediate risk to public safety as three of them are only 45 metres away from a railway line. The council’s decision came despite objections from a string of official bodies including Historic England, the Association of Industrial Architecture and the Twentieth Century Society. Dozens of residents also strongly objected, along with Stewartby parish council and the ward councillors. All felt the structures were a vital and lasting reminder of the brickwork heritage of the village. Councillors ordered that some heritage be preserved in the form on the old brick kilns on the site. These must not be damaged during the demolition work, they ruled. 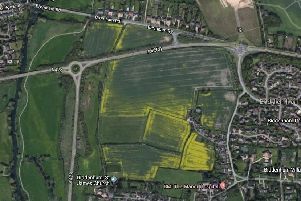 Hanson last year made a formal submission to the council to build 1,000 new homes together with business units on 37 hectares to the east and west of the site. If the development goes ahead it would virtually double the size of Stewartby. Hanson bosses say they had engineers examine the chimneys thoroughly and the verdict was that they would be impossible to preserve.